11.22.040 Civic center zone (CC). 11.22.050 Transit village zone (TV). 11.22.060 Industrial flex zone (IF). 11.22.070 Corridor 1 zone (CDR1). 11.22.080 Corridor 2 zone (CDR2). 11.22.090 Urban neighborhood zone (UN). 11.22.100 Main street zone (MS). The urban mixed-use zones are organized as form-based districts, each focusing on a specific character intent. 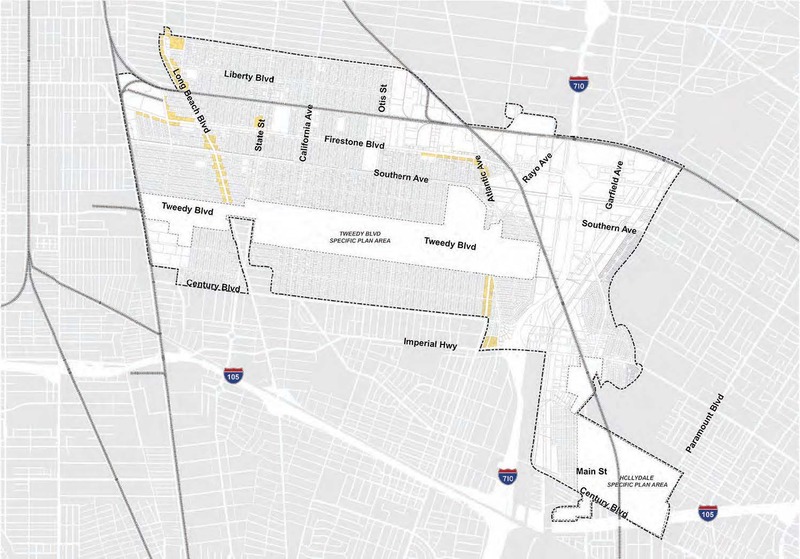 These zones are applied to the major corridors, thoroughfares, and districts of South Gate, areas that heavily contribute to the overall character of the city. This chapter includes standards and guidelines that are calibrated to create mixed-use urban environments suitable for pedestrian activity, automotive access, and increased business opportunities. These standards and guidelines address building form and relationship to the street. 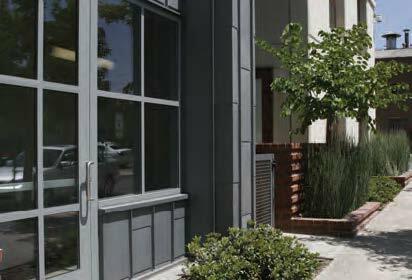 The combination of urban standards, building form, building design standards, and frontage type should generate a varied and engaging architectural street frontage. Consideration of these standards shall be equally important to the permitted land use in each zone. The standards of this chapter shall be applicable to all development, redevelopment, expansions, and modifications of buildings and uses within the urban mixed-use zones. A. All standards, dimensions, and requirements identified within the development standards tables of this chapter shall be requirements that are applicable to that zone. Guidelines that incorporate “should” indicate that the standard is not mandatory, but is strongly recommended. 1. Setbacks shall be measured from the property line (PL). 2. Maximum building height may include one additional subterranean story. C. See Section 11.30.050 for buffer setback requirements between residential and industrial uses. D. See Section 11.23.090, Density bonus program, and Chapter 11.31, Density Bonus for Affordable Housing. E. To provide for flexibility in development and to promote innovative design, administrative modifications to the standards of this table are permitted subject to Section 11.30.030, Administrative modifications. F. All major nonresidential development projects shall be required to implement trip reduction measures. See Section 11.33.110, Trip reduction measures, for standards. v. Section 11.23.080, Guidelines for building frontage types. 2. Chapter 11.30, General Property Standards. 3. Chapter 11.33, Parking Standards, for parking ratios and design standards. The civic center (CC) zone is intended to solidify the area along California Avenue at the intersection of Firestone Boulevard as the major focal point and civic heart for the South Gate community. This zone promotes civic and institutional uses as the primary attraction, blended with community-oriented retail, business services, lodging, and housing. A. Physical Character. The physical environment should be characterized by ground-floor civic, office, and commercial uses at the sidewalk or set back behind community open space. 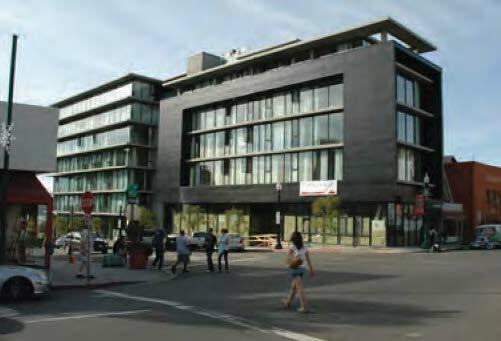 Housing may occur in upper floors or in portions of building(s) not adjacent to the California Avenue streetscape. B. Building Form. 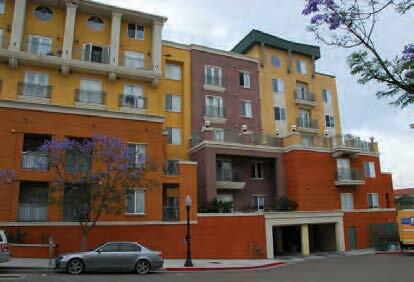 Buildings should be varied in size, forming a street wall of three, and bonus allowances up to five stories. Table 11.22-CC, Development Standards, identifies applicable requirements for density, building height, floor area ratio (FAR), and setbacks. 1. Approximately eighty percent of all building frontage along primary streets, or facing public open space or plazas, should incorporate ground-floor retail, civic uses, and active pedestrian-oriented uses. 2. 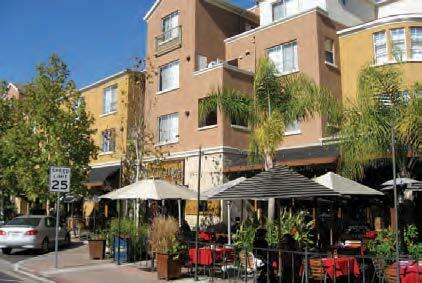 Ground-floor retail is encouraged along secondary side streets and on corners intersecting with primary streets. 3. For additional requirements, see Section 11.23.070, Ground-floor retail and pedestrian-oriented uses. D. Streetscape/Public Realm. Streetscapes should be urban and comfortable, with wide sidewalks in support of pedestrian activities. Street trees should be of the types that provide shade while allowing views of ground-floor businesses. Planting should be focused in individual or groups of containers/pots, recognizing the high pedestrian nature of the streetscape. E. Parking. Parking should be provided through a combination of on-street customer spaces, park-once/public parking, and off-street residential spaces behind buildings. Parking along Firestone Boulevard should be off-peak and parallel in configuration. F. Special Requirements and Applicable Overlays. 1. Development of the California corridor should be coordinated with the redevelopment of the civic center district to ensure a compatible design and character for the corridor. 2. See Section 11.33.120, Park-once/parking districts, for details related to the park-once area and adjacent Southern Pacific Railroad district. 3. See Chapter 11.26 for corridor transition overlay details. 0 ft. to 20 ft. Note: 65% of the building shall include a 0-ft. setback and build to the property line, and the remaining building façade may be set back up to 20 feet. 0 ft. to 10 ft. Note: 65% of the building shall include a 0-ft. setback and build to the property line, and the remaining building façade may be set back up to 10 feet. 1. 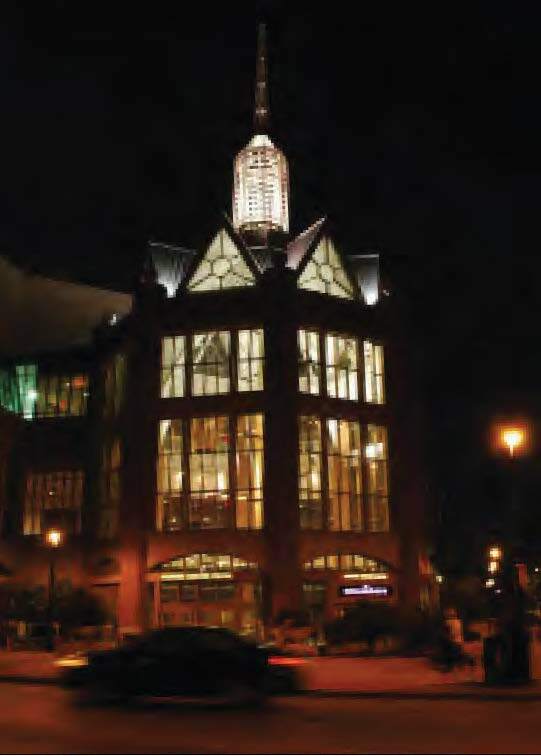 Civic buildings provide community identity through their design and variety of public functions. 2 & 3. Civic buildings offer opportunities for public space of varying sizes, combining landscape and hardscape. The transit village (TV) zone is applied to areas in close proximity of an existing or planned transit station. 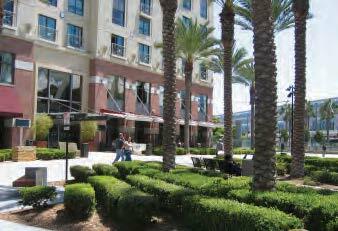 The TV zone is intended as a transit-oriented mixed-use district combining housing with retail, office, civic uses, entertainment, and employment. The TV zone provides for vertical and horizontal mixed-use development, blended with high-density transit-proximate housing in a vibrant urban setting. A. Physical Character. The physical environment should be characterized by ground-floor commercial/service uses at the sidewalk, with provision for public, common, and private open space features. Nearer the transit station, housing should be located in upper floors or in portions of buildings not adjacent to the streetscape. Farther from the station, housing may be on the ground floor. B. Building Form. Buildings should be mixed- or single-use, forming a street wall of two to four stories, with upper volumes of up to eight stories, and bonus allowances for up to ten stories. Table 11.22-TV, Development Standards, identifies applicable requirements for density, building height, FAR, and setbacks. 1. Approximately eighty percent of all building frontage along primary streets or facing public open space or plazas should incorporate ground-floor retail and active pedestrian-oriented uses. 3. 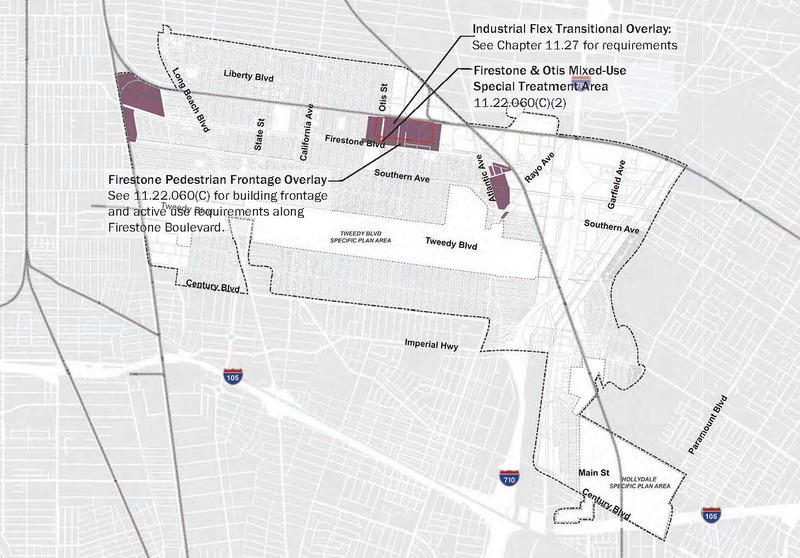 The Firestone and Atlantic gateway special treatment area, at the corner of Firestone Boulevard and Atlantic Avenue, should be emphasized as a pedestrian-oriented intersection. 4. For additional requirements, see Section 11.23.070, Ground-floor retail and pedestrian-oriented uses. D. Streetscape/Public Realm. Streetscapes should be urban and comfortable, with wide sidewalks in support of pedestrian activity and canopy trees for shade. Planting should be focused in individual or groups of containers/pots, recognizing the high pedestrian nature of the streetscape. Planting farther from a transit station should be more landscape-oriented, with tree planting strips between the curb and sidewalk and front yard landscaping. E. Parking. Nonresidential parking near a transit station should be provided through a combination of on-street customer spaces (parallel and/or diagonal) and park-once/public parking. 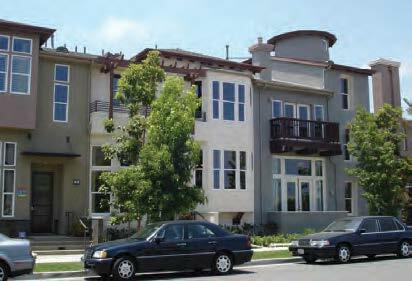 Residential parking near a transit station should be behind or within buildings and on the site of the associated dwellings. Nonresidential parking farther from a transit station should be provided by on-street customer spaces (parallel and/or diagonal). Residential parking farther from a transit station should be behind or within buildings and on the site of the associated dwellings. 1. See Section 11.33.120, Park-once/parking districts, for details related to the park-once area and adjacent Southern Pacific Railroad district. 2. See Chapter 11.26 for corridor transition overlay details. 1. 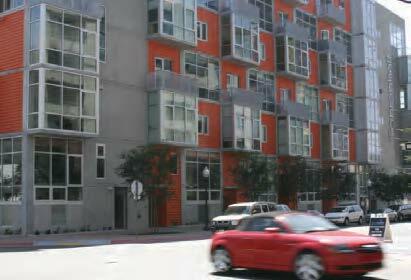 Residential and mixed-use buildings provide a variety of housing choices around transit. 2 & 3. Mixed-use streets provide concentrated neighborhood services for residents and visitors, expanding the role of transit for the area. 4. 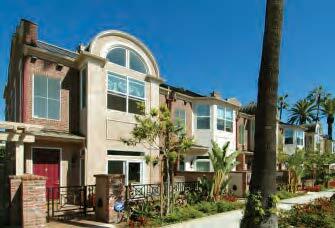 Housing choices include townhouses that provide density for transit efficiency and a change in scale. The purpose of the industrial flex (IF) zone is to continue the industrial job base in the area, while allowing flexibility to incorporate a mix of uses and job options, supporting innovative industry and living options in close proximity to transit, existing employment centers, and major corridors. A. Physical Character. The physical environment should incorporate light industrial development, research and development (R&D) integrated with office, and local- and regional-serving commercial. Development within this zone shall address transitions between uses as well as building forms. Along major corridors, including Firestone Boulevard and Atlantic Avenue, pedestrian-oriented, mixed-use development should incorporate active ground-floor uses, with residential above or behind where feasible. B. Building Form. 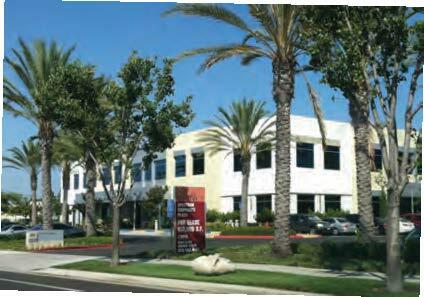 Buildings should be located near the sidewalk or configured around open space. Along major corridors, including Firestone Boulevard and Atlantic Avenue, buildings should be varied in size, forming a street wall of up to five stories, with bonus allowances for up to eight stories. Table 11.22-IF, Development Standards, identifies applicable requirements for density, building height, FAR, and setbacks. 1. 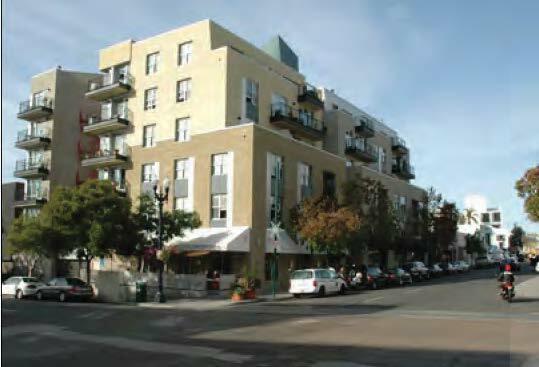 Along major corridors, including the Firestone pedestrian frontage overlay, along Firestone Boulevard, and along Atlantic Avenue, approximately sixty percent of the building frontage should incorporate active pedestrian-oriented uses, including ground-floor retail, service-oriented business uses, restaurants, cafés, outdoor seating, and other uses that generate walk-in clientele. 2. 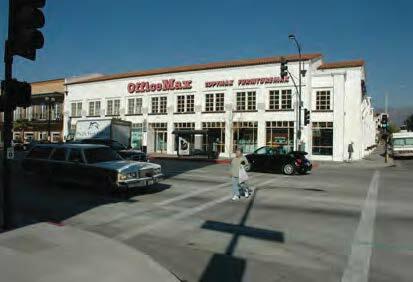 The Firestone and Otis mixed-use special treatment area, at the corner of Firestone Boulevard and Otis Street, should be emphasized as a pedestrian-oriented intersection. Additionally, the Otis Street corridor should be emphasized as a pedestrian- and bicycle-oriented street. D. Streetscape/Public Realm. Streetscapes should be urban and comfortable, with wide sidewalks in support of pedestrian activity. Street trees should be of the types that provide shade while allowing views of the ground-floor businesses. 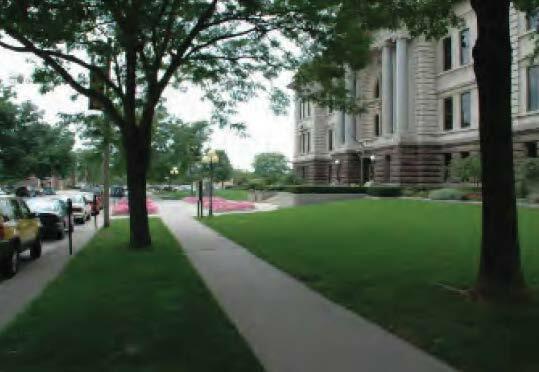 Planting should be focused in planting strips or narrow parkways, in large tree wells, or in individual or groups of containers/pots, recognizing the high pedestrian nature of the streetscape. 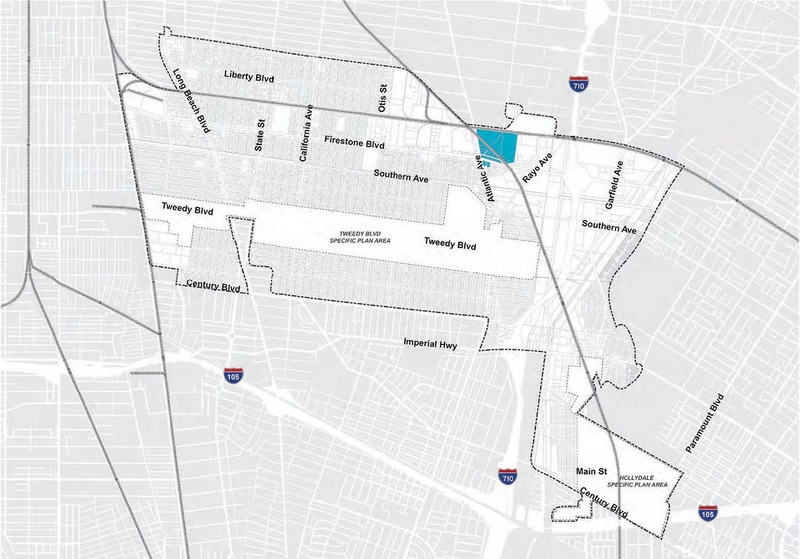 Additionally, the intersection of Firestone Boulevard and I-710, and Firestone Boulevard and Atlantic Avenue, should be designed as gateways. E. Parking. Parking should be through a combination of on-street customer spaces and off-street residential and customer spaces behind or within buildings. 1. See Chapter 11.26 for corridor transition overlay details and Chapter 11.27 for industrial flex transitional overlay details. 1 & 2. Office, R&D, and light industrial/flex uses can incorporate a multistory approach to development along urban, walkable streets. 3. Live/work uses may incorporate alternating shopfronts and patios along the ground floor to add interest to the pedestrian realm. 4. Multistory, mixed-use buildings can combine office and R&D, or office and residential uses, over ground-floor retail. 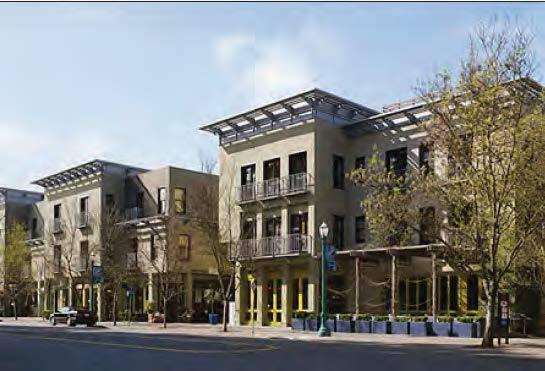 The design of these buildings may incorporate a unique industrial façade that adds character to the district and reinforces its history. 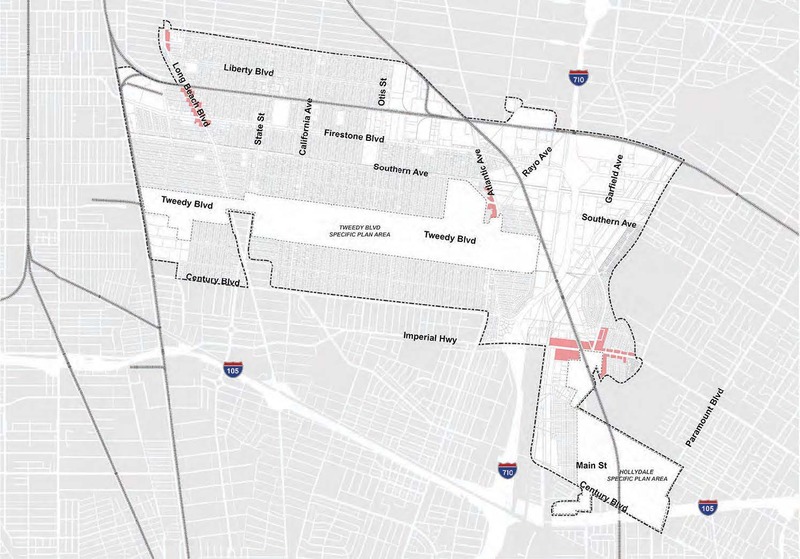 The corridor 1 (CDR1) zone is intended for major vehicular and commercial corridors to provide for a variety of corridor-related and community-serving uses, with a high-density housing component. All buildings and uses shall contribute to shaping the urban streetscape. A. Physical Character. 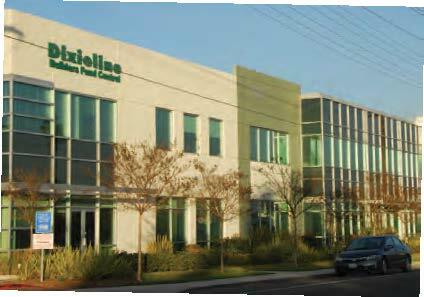 The physical environment should be characterized by ground-floor office and commercial uses, with office or housing above. B. Building Form. 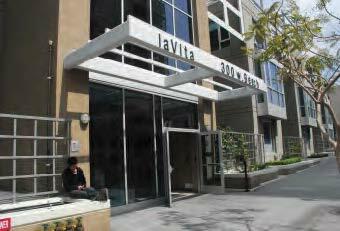 Buildings should be varied in size and are permitted as mixed-use or single-use. Buildings should be located at or near the sidewalk, occupying at least half of the frontage. Buildings may form a street wall of up to six stories, with bonus allowances for up to eight stories. Building form shall be compatible with adjacent neighborhoods by orienting upper volumes away from neighborhoods and toward the corridor and important street intersections. Table 11.22-CDR1, Development Standards, identifies applicable requirements for density, building height, FAR, and setbacks. 1. Approximately sixty percent of all building frontage along primary streets should incorporate ground-floor retail and active pedestrian-oriented uses. D. Streetscape/Public Realm. Streetscapes should be urban and comfortable, with wide sidewalks in support of pedestrian activity. 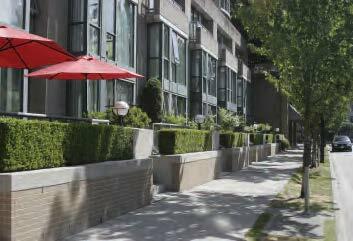 Street trees should be of the types that provide shade while allowing views of the ground-floor businesses. Planting should be focused in planting strips or narrow parkways, in large tree wells, or in individual or groups of containers/pots, recognizing the high pedestrian nature of the streetscape. 1. See Chapter 11.26 for corridor transition overlay details. Note: 50% of the building shall include a 0-ft. setback and build to the property line, and the remaining building façade may be set back up to 10 feet. 1. Buildings may form an urban street wall of up to six stories, with bonus allowances of up to eight stories. 2. Building entries are pedestrian oriented, opening to the sidewalk. 3. Ground-floor retail is encouraged at primary streets and street corners. 4. 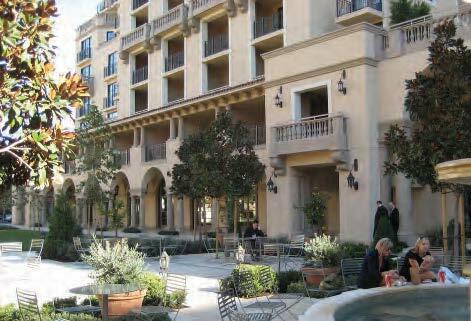 Buildings may incorporate porches, stoops, and terraces, which enliven the pedestrian realm. 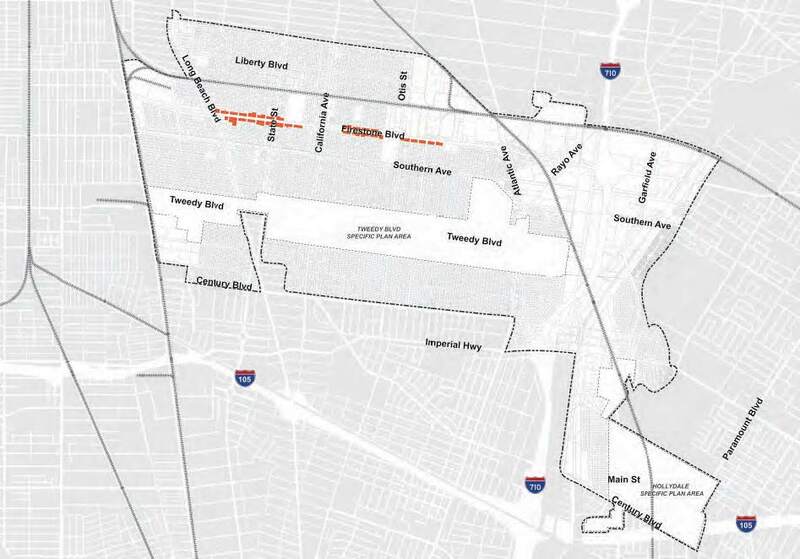 The corridor 2 (CDR2) zone is applied to secondary corridors such as Imperial Highway and Long Beach Boulevard to provide for a variety of housing choices and corridor-related neighborhood-serving uses. B. Building Form. Buildings should be varied in size and of a generally smaller scale than in the corridor 1 zone. Buildings are permitted as mixed-use or single-use, and shall be designed to generate a pedestrian-oriented streetscape for all uses. Buildings are at or near the sidewalk and occupy at least half of the frontage while providing convenient off-street parking for corridor-related uses. 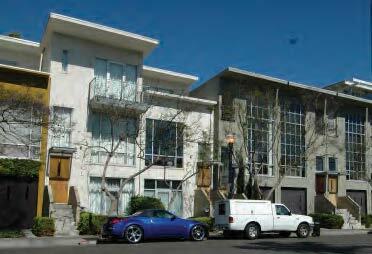 Buildings should form a street wall of up to four stories, with bonus allowances for up to five stories. Upper volumes shall be oriented away from neighborhoods and toward the corridor, and are encouraged to address important street intersections. Table 11.22-CDR2, Development Standards, identifies applicable requirements for density, building height, FAR, and setbacks. 1. Approximately forty percent of all building frontage along primary streets should incorporate ground-floor retail and active pedestrian-oriented uses. 2. Ground-floor retail and active pedestrian-oriented uses are also highly encouraged at street corners. 1. Along Long Beach Boulevard, between Independence Avenue and Indiana Avenue. E. Streetscape/Public Realm. Streetscapes should be urban and comfortable, with wide sidewalks in support of pedestrian activity and outdoor dining and to provide a physical transition between the traffic and the adjacent buildings. Street trees should be primarily canopy tree species to provide shade for pedestrians and ground-floor activity. F. Parking. Parking should be through a combination of on-street customer spaces and off-street residential spaces behind or along the side of buildings. Parking along Imperial Highway and Long Beach Boulevard should be off-peak and parallel in configuration. G. Special Requirements and Applicable Overlays. 1 & 2. Residential buildings consisting of a variety of housing choices line corridors, along with retail and mixed-use buildings. 3. Commercial buildings shape the streetscape while enjoying high visibility and convenient surface parking at the rear of the lot. 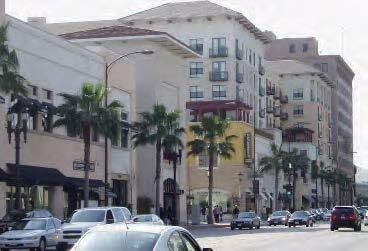 The urban neighborhood (UN) zone is intended for areas adjacent to or surrounding major community corridors to provide retail and service uses in a more automotive-oriented setting and to provide buildings that transition to adjacent established neighborhoods. The UN zone promotes the blending of housing, retail and services, office, and civic uses. A. Physical Character. The physical environment should be characterized by medium- to high-density housing, occasionally accented by neighborhood-serving retail, office, and restaurants. Urban, pedestrian-oriented townhomes and rowhomes are envisioned along Long Beach Boulevard, between Santa Ana Street and Independence Avenue. 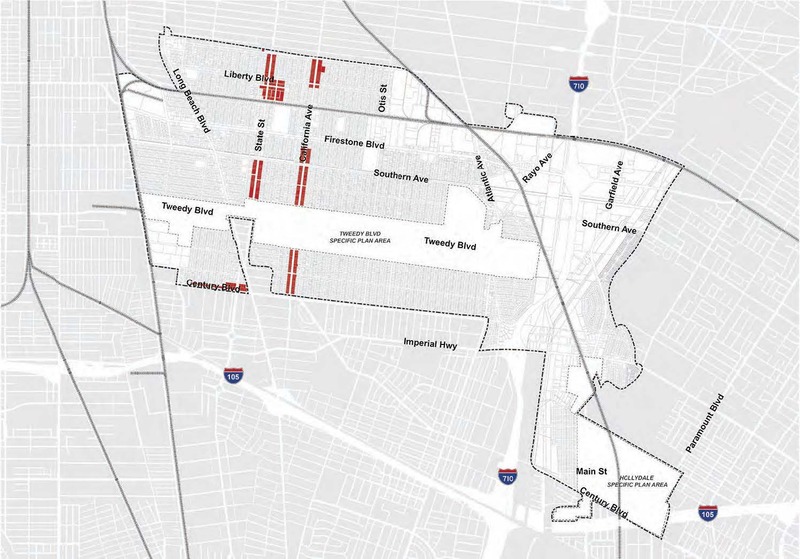 Due to the proximity to and visibility from the I-710, single-use retail is encouraged along UN parcels in the area of Atlantic Avenue and Imperial Boulevard. B. Building Form. 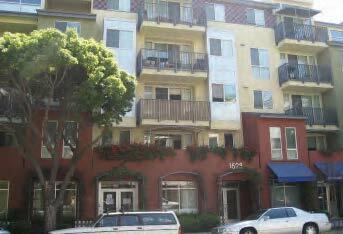 Buildings should be near the sidewalk or set back behind landscaped front yards. Buildings should be varied in size, mixed- or single-use, forming an urban street wall of up to five stories, with bonus allowances for up to eight stories. Table 11.22-UN, Development Standards, identifies applicable requirements for density, building height, FAR, and setbacks. 1. Approximately sixty percent of all building frontage along primary streets or facing public open space or plazas should incorporate ground-floor retail and active pedestrian-oriented uses. 1. 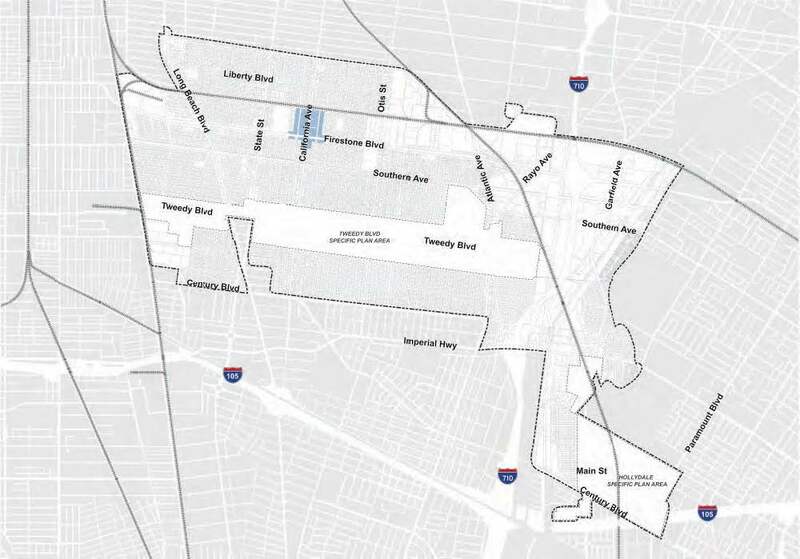 The area bounded by Firestone Boulevard on the north, South Atlantic Avenue on the west, Branyon Avenue on the south, and the property alleys at the rear. 2. Along Long Beach Boulevard, between Firestone Boulevard and Indiana Avenue. 3. At the southwest corner of Atlantic Avenue and Firestone Boulevard. E. Streetscape/Public Realm. Streetscapes should be urban and comfortable, with either tree planters and sidewalks or wide sidewalks with trees in tree wells to support pedestrian activity and occasional outdoor dining, and to establish a distinct residential character. F. Parking. Parking should be through a combination of on-street customer spaces and off-street residential and customer spaces behind or within buildings. 1. A variety of storefronts with direct access to the sidewalk makes the streetscape more walkable and an amenity associated with the building. 2. 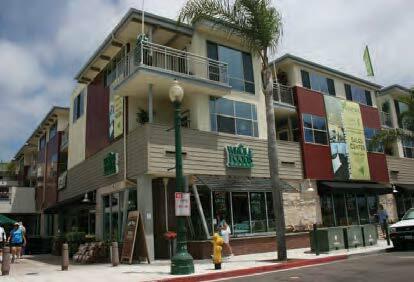 Mixed-use buildings provide an active ground floor, especially at corners where visibility is highest and access easiest. 3. Upper-story stepbacks can provide opportunities for variations in buildings massing to provide balconies, patios, and shade elements. 4. Housing comes in a variety of forms; provided, that it positively shapes the streetscape and gives identity to its occupants. The main street (MS) zone is intended to promote and reinforce the continued development of pedestrian-oriented main streets. 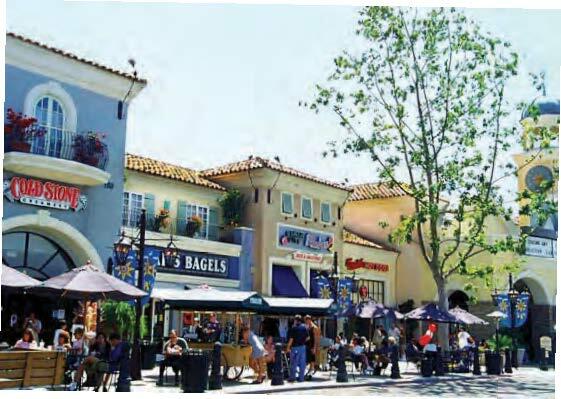 This mixed-use zone includes a variety of uses in a setting scaled for pedestrian visitors and local shoppers. Building and site design shall promote viable access for pedestrians and vehicles equally. A. Physical Character. 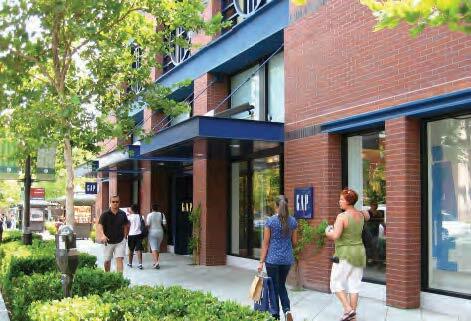 The physical environment should be characterized by ground-floor retail with office and residential above. Urban, pedestrian-oriented townhomes and rowhomes are also envisioned along State Street, north of Independence Avenue, along California Avenue, and in the MS area located between Century Boulevard and Tecumseh Avenue. B. Building Form. Buildings should be pedestrian-scaled, ranging from one to three stories. Massing should be next to the sidewalk. Table 11.22-MS, Development Standards, identifies applicable requirements for density, building height, FAR, and setbacks. 1. Approximately eighty percent of all building frontage along State Street should incorporate ground-floor retail and active pedestrian-oriented uses. 2. 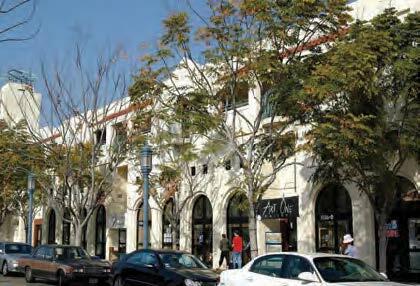 Ground-floor retail should be particularly emphasized in existing main street areas. 3. In other areas, ground-floor retail and active pedestrian-oriented uses are encouraged for forty percent of all primary street frontage, and at street corners. 1. State Street, between Southern Avenue and Missouri Avenue. 3. Long Beach Boulevard, between Independence Boulevard and Indiana Avenue. 4. See Table 11.21-3 for additional restrictions. E. Streetscape/Public Realm. Streetscapes should be urban and comfortable, with wide sidewalks that support pedestrian activity. Street trees should be of the types that provide shade while allowing views of the ground-floor businesses. Planting should be focused in large tree wells or in individual or groups of containers/pots, recognizing the high pedestrian nature of the streetscape. Sidewalks should be wide enough to allow a comfortable pedestrian setting and street trees. 0 ft. to 5 ft. Note: 65% of the building shall include a 0-ft. setback and build to the property line, and the remaining building façade may be set back up to 5 feet. Note: 50% of the building shall include a 0-ft. setback and build to the property line, and the remaining building façade may be set back up to 5 feet. 1. Buildings are built to the sidewalk with attractive storefronts, and contribute a unique architectural character that distinguishes the corridor as a shopping main street. 2. Mixed-use development may incorporate restaurants, theaters, and retail, as well as expanded sidewalks and plaza areas with space for vendors and seating. 3 & 4. 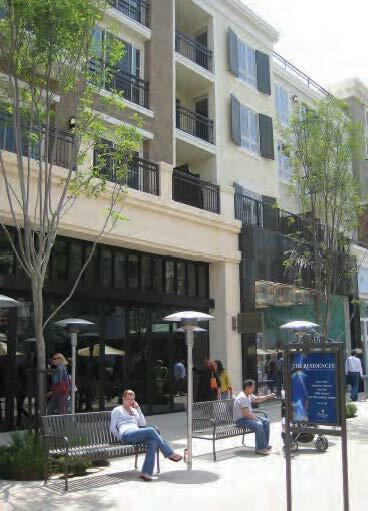 Mixed-use development includes residential over retail, with active ground floors, including storefronts, window displays, and outdoor dining.